Beautiful Carmel home is just waiting for you! This elegant, spacious home is located in the Buckhorn neighborhood and is convenient to shopping, dining and excellent schools. The home features a main level master bedroom and an in-law suite also located on the main level. Other oversized bedrooms and guest suite are upstairs, opening off of a large loft. Upgrades abound throughout the house, making it a perfect home for anyone. Come by and see it on Sunday or give us a call. Don't let this beauty slip away! Carmel Custom Home with Room for All Ages! Welcome home to this elegant and peaceful home! The home is beautifully appointed with custom touches throughout. The main floor includes a master suite and an in-law suite! The bedrooms upstairs are quite large and could include a guest suite. The finished basement features a family room, bonus room, wetbar, full bath and fireplace. The Buckhorn neighborhood in Carmel is beautifully landscaped and is adjacent to the award winning elementary school. 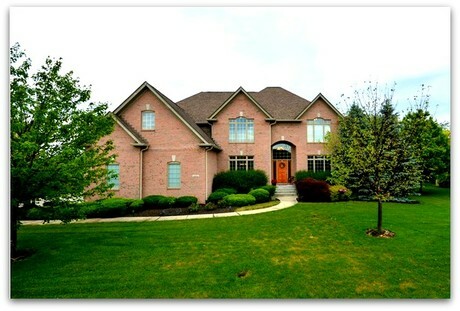 Buckhorn is a desirable upscale neighborhood in west Carmel. The Buckhorn neighborhood has a community pool, plenty of green space, and easy proximity to shopping, restaurants and entertainment. See current pricing plus additional photos and information for 13820 Stone Drive in Carmel Indiana. Don't let this beautiful home pass you by! This incredible 5 bedroom home in coveted Buckhorn Estates is a dream! The master bedroom is a perfect spot to relax, with a spacious spa bath and fireplace. All of the other bedrooms are oversized and have walkin closets and private baths, perfect for kids, guests or as a hobby room. The 2 story Great Room and amazing kitchen open to the screened porch and hearth room are just waiting for our family life or entertainment plans! Work from home in the den with custom builtins and coffered ceiling. There is even more space in the walkout basement, which includes an exercise room, bedroom, bath, fireplace and a full bar. Enjoy the quiet outdoors with a full pond view and .61 acre lot with mature trees. Serenity and graciousness is yours in this stunning executive home! See additional information and photographs of 14061 Staghorn Drive! events, activities & fun stuff to do in the Best Small City in America! No celebrity or public figure is safe from ridicule or ridiculousness during the nationwide tour that has launched the careers of comedic greats such as Bill Murray and John Belushi. Tickets can be purchased at select Marsh locations, online at www.tix.com, or at the door. Celebrate Valentine's Day in the Arts & Design District with free carriage rides from 6-9 PM, a Valentine's Scavenger Hunt, and a free rose for the first 300 visitors. It's the time of year is when many local species are re-establishing pair bonds. Join a park naturalist to learn about the romantic traditions of local wildlife, then visit the Rookery Preserve to see the Great Blue Herons hard at work repairing their nests and courting their mates. More fun things to do this weekend in and around Carmel Indiana! Beautifully appointed 5 bedroom, 6 bath Carmel custom home in the prestigious Buckhorn neighborhood. Talking points include a well-equipped gourmet kitchen with adjoining hearth room, dual staircase, and lower level with custom bar & theater. Walking distance to top-ranked elementary school. See additional pictures, information and current pricing for 13672 Stone Drive. A fabulous gourmet kitchen and hearth room are the heart of this elegant custom home by J.R. Frieburger with 5 bedrooms, 6 bathrooms & 5424 square feet. Superior craftmanship and an ideal open floor plan are sure to please the most discerning of buyers. Outstanding features include a dual staircase, 2 sided fireplace, hardwoods, maple cabinets, SS & granite, and a spacious Lower Level with custom bar, theatre room, and guest suite. See additional pictures and information for 13672 Stone Drive. Best Buy for Carmel Schools! Budget-friendly Carmel home in Beacon Point with finished walk-out basement and lots of updates including newly installed kitchen countertops. Close to Monon Trail, Clay Terrace and all that Carmel has to offer! Directions to 14931 Beacon Blvd. Search all Carmel homes for sale. Budget-friendly Carmel home in Beacon Point with finished walk-out basement, lots of updates and close to Monon Trail, Clay Terrace and all that Carmel has to offer!